The 200 series is a class of austenitic(highly corrosion-resistant)stainless steels that are characterized by havinglow nickel content. These are also referred to as chrome-manganese (CrMn) stainlesssteel. Austenitic steels, which includes both the 200 and 300 series stainless steels, are defined by their face-centered cubic structure. That is, the crystal structure has one atom at each corner of the cube and one in the middle of each face. Nickel is the most commonly used element to produce this crystal structure, but a post-World War II nickel shortageled to the substitution of nitrogen for nickel in the production of some austeniticcorrosion-resistant steels. The 200 series of stainless steels was born. While nitrogen alloyed in steel will also form a face-centered cubic structure, it results in harmful chromium nitrides and increases gas porosity. The addition of manganese allows more nitrogen to be safely added, but nickel cannot be completely removed from the alloy. 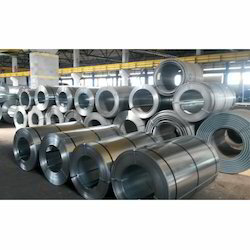 The 200 series stainless steels are, consequently, characterized by their nitrogen and manganese content. Production and demand for low-nickel stainless steels surged in the 1980s as nickel prices soared and, again, efforts were made to reduce use of the metal. This led to the development of a huge production increase in India. Asia is now a major source for, and consumer of, this family of steels. Due to its lower corrosion resistance, the range of applications for 200 series stainless steels is narrower than 300 series steels. It is not recommended for use in chemical environmentsbut has found its way into many household items. 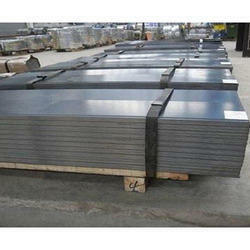 Stainless Steel Sheet Grade 202 is a type of Cr-Ni-Mn stainless with similar properties to A240/SUS 302 stainless steel. The toughness of grade 202 at low temperatures is excellent. It is one of the most widely used precipitation hardening grades, and possesses good corrosion resistance, toughness, high harness, and strength. The following data sheet provides an overview of grade 202 B stainless steel. 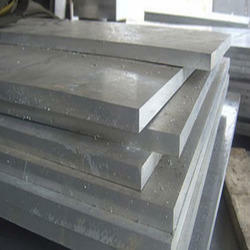 We are one of the renowned Stainless Steel Plate Suppliers. The main features of this product include accurate dimensions, Heat resistant, Corrosion resistant, smooth finish and are very durable. Our range finds application in Chemical industry, Petrochemical industry, Sugar industry, sanitary industry, Dairy industry and Food processing industry. Also, these serve Decorative building structures, Automobile exhaust systems, and Nuclear Power plants, Space engineering and Submersible pumps. Thickness (in mm): 4, 5, 6, 8, 10, 12, 16, 20, 22, 25. With our expertise in this domain, we are able to offer a superior quality range of Stainless Steel Sheet. The offered range of stainless steel sheets is available in different sizes and thickness with respect to the varied demands and requirements of clients. These products are applicable in pharmaceutical companies, sugar industry, pulp & paper mills, petrochemical corporations, fabricators and fertilizer plants. Leveraging on our expertize, we offer a wide assortment of Stainless Steel Patta. These find applications in many Structural, Engineering, and Mechanical industries. Further, we fabricate these using superior quality material to withstand weight and pressure conditions. These can also be cut into various forms of rectangular or square depending on the specifications of the client. 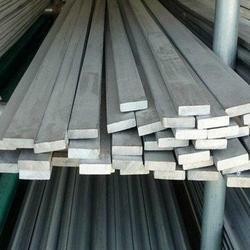 The specifications of our Steel Patta are: Dimensions:-Section - 1000, 1200, 1500, 1700, 1900 and 2400. Our Stainless Steel Coils are widely used in many industries such as engineering, electronic etc. Our range is highly acknowledge and known for its sturdy construction, longer functional life, corrosion resistance and load bearing strength and available in various sizes and thicknesses. These are featured with BA/2B finish, Resistant to corrosion, Abrasion resistant, Heat resistant, dimensionally accurate, High strength and are Durable.